From the moment we walked in to Mount Falcon, we knew we wanted to hold our wedding reception there. Patrick is from Mayo originally but we both live and work in the UK. Planning a wedding from a different country can be daunting, but the Events team - Clodagh and Alexa - made the whole process so easy. They were always responsive and answered any questions quickly and efficiently. We stayed at Mount Falcon in the lead up to the big day and a couple of days afterward. Initially the bridal party stayed in a lodge, before moving into the hotel. The lodges are stunning and the hotel rooms are beautiful. The bridal suite was bigger than our flat in London! 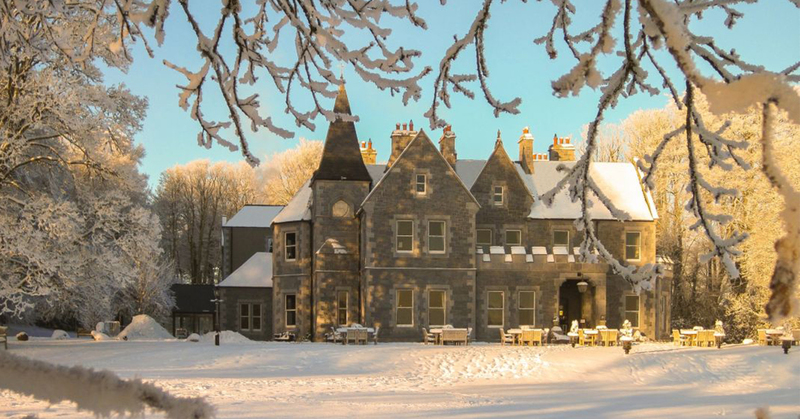 The hotel itself is out of this world, we got married at the end of November and it was decorated for Christmas. It was magical. The hotel is very grand, classy and elegant, but has a real homely feel to it. When you walk in you genuinely feel as though you are in a home from home. Every single member of staff could not do enough for us, nothing was too much trouble and they were all so friendly, personable and accommodating. All of our families felt so comfortable and relaxed. The food is delicious, the chef is clearly extremely talented and passionate about the menu. We ate at the hotel a lot over the week and we could not fault anything with any meals we had. The wedding breakfast was top quality and really the best of the best, one guest summarised with a ‘Wow’ and it really was. A special thank you to Alexa and Clodagh, they are both so calm, level headed and considerate. The day before the wedding, Alexa met with myself and the bridesmaids to run through everything, I was a little stressed and she was fabulous, she really calmed me down and I felt like our big day was in safe hands. On the day itself, I genuinely had nothing to worry about. Coming from an events background I did not want to feel as though I was at work, and I really didn’t! I enjoyed the day and knew that everything was covered. Our guests are still raving about our wedding, we have had lots of people write to us thanking us for such a fantastic day. 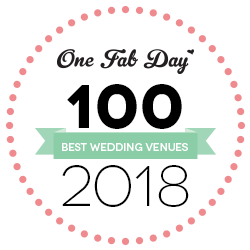 Many family and friends have said that it is the best wedding that they have ever been too, which is due to the amazing team at Mount Falcon. We cannot thank you enough for creating our perfect wedding, and we are already planning our first trip back! My wife and I had the delight of getting married at Mount Falcon. All the staff were incredible especially Clodagh (wedding coordinator) the food phenomenal and we really couldn’t have chosen a better location for an amazing few days to celebrate the start of the rest of our lives together. We had an amazing wedding reception at Mount Falcon, everything was exactly how we wanted and any special requests we had were accommodated without any hassle. The entire team at Mount Falcon were always very helpful and professional and Alan was a pleasure to work with. We and our guests loved the Falconry display by Martin, it was a fantastic opportunity to appreciate the falcons, hawks and owls. We wouldn’t hesitate to recommend Mount Falcon to any of our friends and family. We got married here in late May 2017 and it all went perfectly. Alan helped coordinate our wedding very efficiently and we were treated faultlessly on the day too. Given they were catering for 100 people, the food was amazing (especially the canapes!). Our guests had fun, were impressed with the venue and loved the food - what more can you ask for. The sun even came out. The pool and hot tub were a nice bonus for the day after. Finally, I've never seen such a nice hotel room as the suite we stayed in. Although it's a while after the event, I wanted to say thank you again to Mount Falcon Estate and Alan for everything you did for us. The day was 100% perfect and much of that was down to you and your team. Mount Falcon is a truly beautiful venue and it was perfect for our New Year’s Eve wedding reception. From the moment we stepped inside the door to view it as a possible wedding venue, the Christmas before our wedding, we knew immediately it would be perfect for the wedding we wanted to create - from the beautifully decorated Christmas trees, garlands and floral arrangements in the lobby and reception rooms, to the warm open fires, to the stunning grounds overlooking the lake - which was used as the backdrop to our fireworks display at midnight! The service was second to none. Our wedding coordinator was extremely helpful from the moment we met him and we were extremely impressed with his professionalism and that of all the staff members we dealt with on the lead up to and the day of our wedding. The wedding meal was really delicious and we received so much positive feedback on the food, wine and service from a number of our guests. The menu selection and quality of the food is excellent. Vegetables are sourced from the Mount Falcon gardens and suppliers are generally local. The wine list is extensive also. Mount Falcon is a very special place and for us there was nowhere else we would have considered for our wedding. What can we say! Mount Falcon is a beautiful location. The Manor is breath-taking with so many photo opportunities ... but the staff made it what it was. We got married in Mount Falcon and planned the entire wedding from Australia with the amazing effort from our wedding coordinator’s Maura Moran and Alan Broderick. Both were extremely helpful and attentive from the instant we emailed our enquiry. They helped to accomplish the unique nature of our celebration with ease and needless to say we had the most amazing day and greatest party of our lives. We would highly recommend couples to check out Mount Falcon. It is an amazing wedding venue. Thank you Maura, Alan and all the Mount Falcon team for your laughter, guidance and support on the biggest day of our lives!